Certain Cisco VPN solutions work well over satellite, and others do not. Cisco VPN clients (software on your computer) have the most difficulty, we have seen a Cisco VPN client reduce throughput by as much as 70% of the available capacity of the satellite link. The effects are especially bad if there are multiple VPN users using the satellite service at the same time. 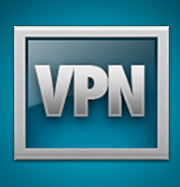 Hardware-to-hardware (site -to-site) VPNs work best, with the remote site becoming a permanent part of the corporate network. As users log onto the remote site router, they are joined to the corporate network in a hardware to hardware VPN tunnel rather than using VPN client software. The Cisco ASA 5500 family of security appliances are the perfect site to site security appliance for use over a satellite connection, and can be used on networks of all sizes.